While Pokemon Go has taken over the world and enthusiasts are out there catching ad collecting, this Snorlax is nothing of the traditional Pokemon road block or grapefruit eater, however one thing that is true about it is that it is constantly sleeping. 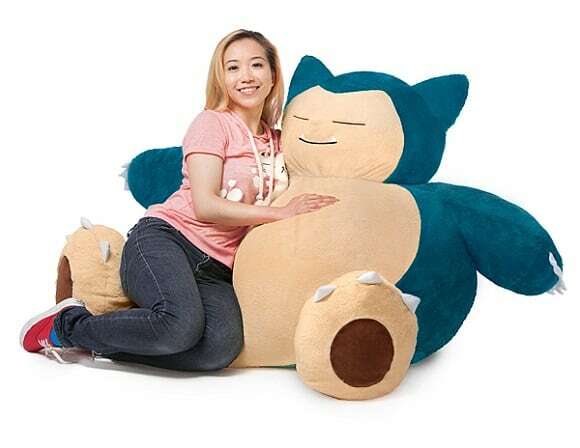 This is four foot tall, and two foot wide amorphous bean bag shaped like a snuggly Snorlax that is perfect for your den or wherever you may want to put it to relax. Its100% polyester on the outside and filled with cotton and polyester mix balls. A Pokémon Snorlax Bean Bag Chair can now be preordered for $149.99.